When we look to hire staff members, our first question is always this: does this person have the passion for our mission and for hard work that will only move our work forward? When Shannon came to our attention as a candidate to join the Freedom’s Promise team, that passion was evident. Having formerly served on the intervention and rehabilitation side of trafficking in Nepal, Shannon has seen the impact first-hand on lives hijacked by forced labor and sexual exploitation. 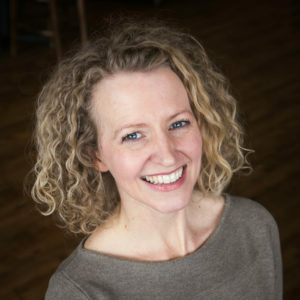 She is also a skilled marketing professional who has worked with non-profits to connect them with people who are passionate about their mission. And that’s exactly what Shannon will do with us. Shannon joins Freedom’s Promise as Director of Community Engagement, which is an official way to say, she wants to get to know you, your organization – from businesses to churches – and how your passion can connect with our mission to prevent human trafficking in the world. With the opportunities to expand and grow to new communities who need education and training, so that their lives are protected from being trafficked, we will constantly need to come together on behalf of those we serve.